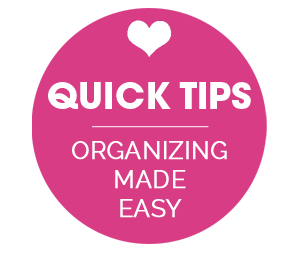 IHeart Organizing: Organize With This: Magazine Files! 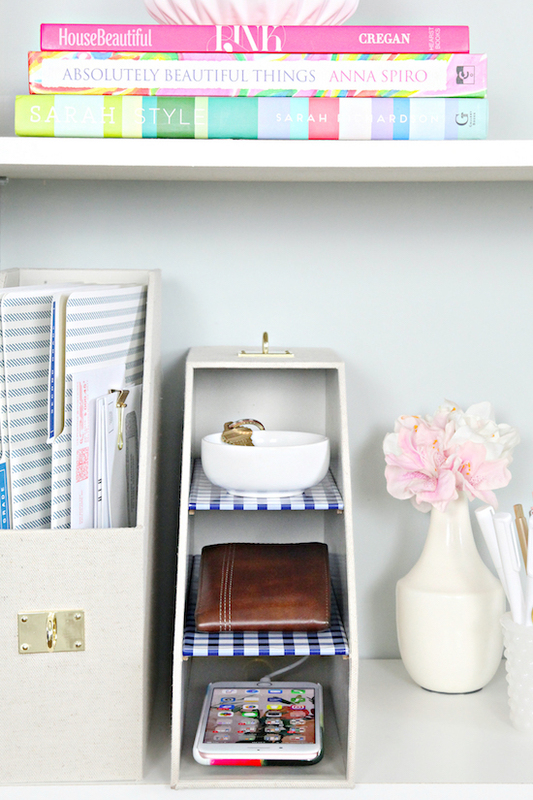 26 Organize With This: Magazine Files! Happy Thanksgiving everyone! I hope your bellies are full and you're snuggled in with your favorite people. Did you take the day to fight Black Friday crowds or surf from your sofa? 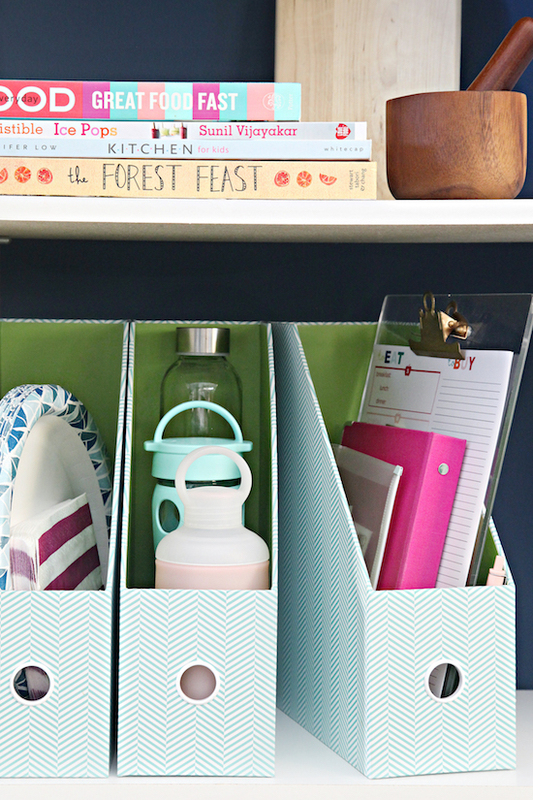 Or are you up for some organizing? Maybe not today, but some last minute end-of-year sprucing before Christmas entertaining begins? When I search for storage, I always try to consider how it can be re-used down the road as our needs change and our family evolves. I aim to select things that will stand the test of time and continue to be used and purposeful for many years to come. 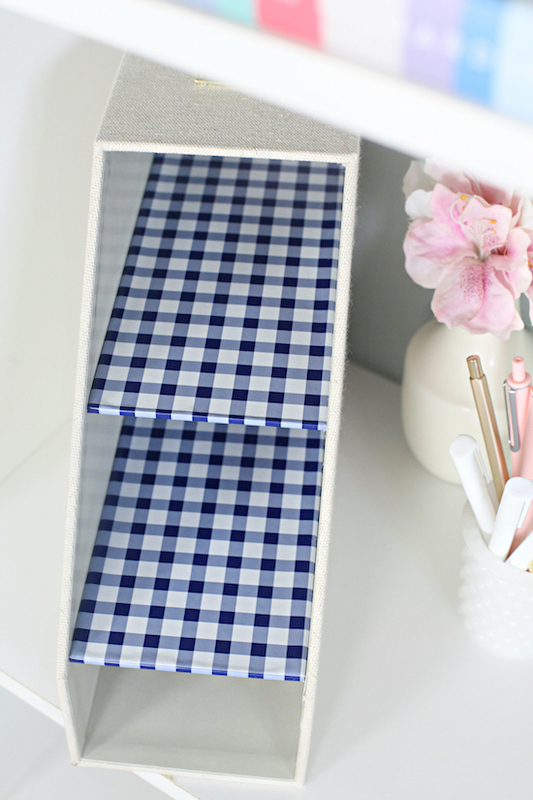 One of my "go-to" organizers is the not too expensive but always dependable magazine file, and I am guessing many of you have these hanging out in your homes also! Yes, they are perfect for managing that stack of glossy paged goodness, but they really can be utilized in infinite ways. 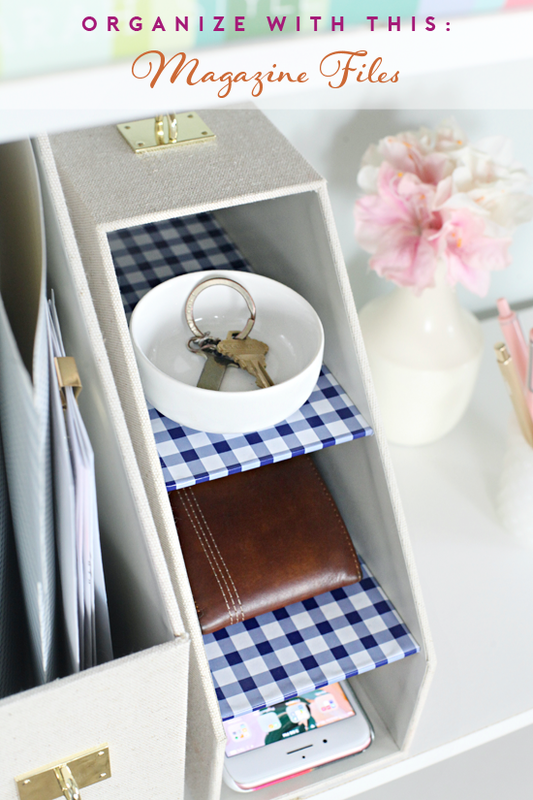 Below find 15 quick and easy ways to organize all around your home using basic magazine holders, and at the end, I share the easiest crafty hack for adding even more functionality to an already awesome organizer. 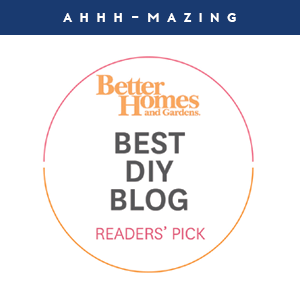 One thing to note is that these holders come in a variety of materials, typically metal, plastic and cardboard, and some of these suggestions work best with more durable or easy-to-clean finishes. O N E // In the kitchen use them for disposables/paper products; include a small stack of plates, cups, napkins, and silverware for those last minute no-fuss meals. 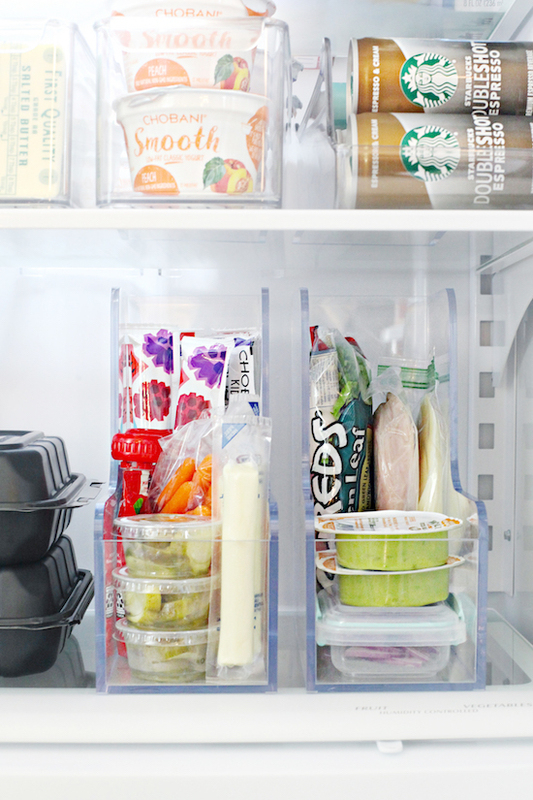 T W O // Magazine files prevent water bottles from tipping and rolling around inside of cupboards or drawers. 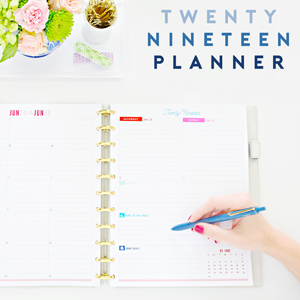 T H R E E // Put together a small meal planning kit and include favorite recipes, food magazines, shopping lists, coupons, and a pen, and tuck it all away neatly inside of the pantry. F O U R // Food packaging and wraps; magazine files help to keep them vertical so no stacking or rummaging is required. 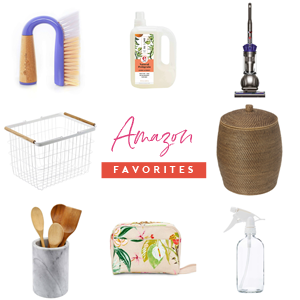 F I V E // How about potholders and oven mitts? S I X // Baking items; cookie cutters, sprinkles, whisks & spatulas and a hand mixer. 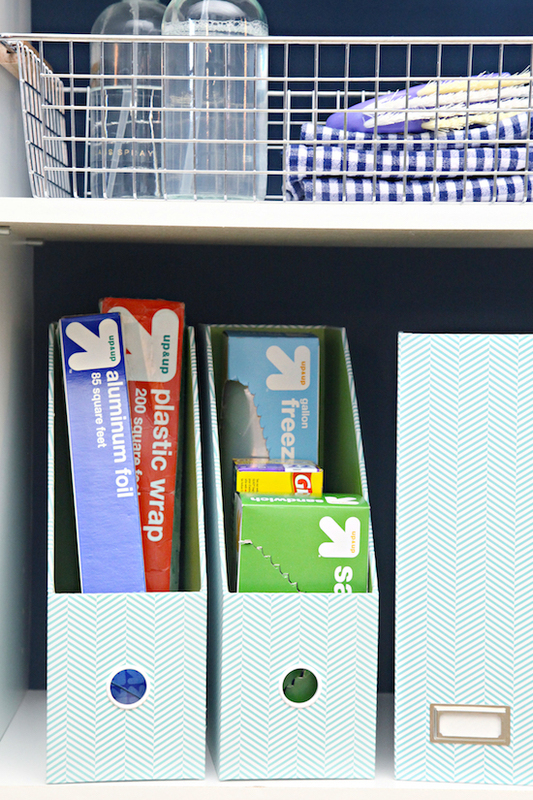 S E V E N // You know I am obsessed with using these bins in our fridge and freezer, but magazine files could definitely take on similar functions. Like lunch making caddies! Fill these handy helpers with all of your favorite lunch items and sides for on-the-spot meal making. 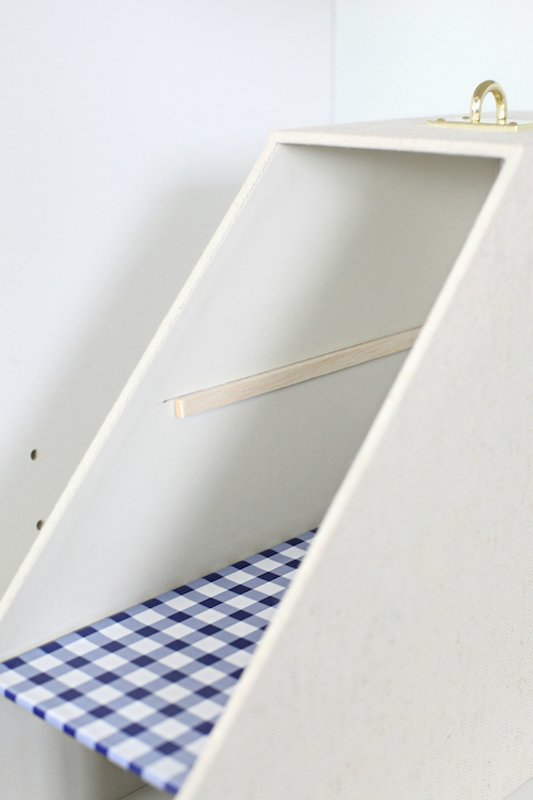 N I N E // In the linen closet, magazine files can help to hold rolled sets of sheets (much easier than trying to fold them perfectly) and towels. They can also be labeled by person or room. 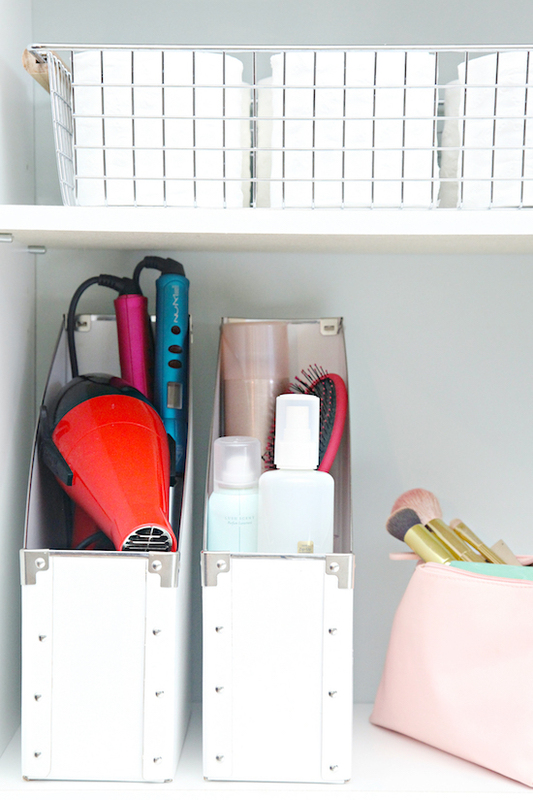 E L E V E N // In the bathroom, use one to hold hair tools (just be sure it is heat resistant or wait to add items until after they have cooled down). 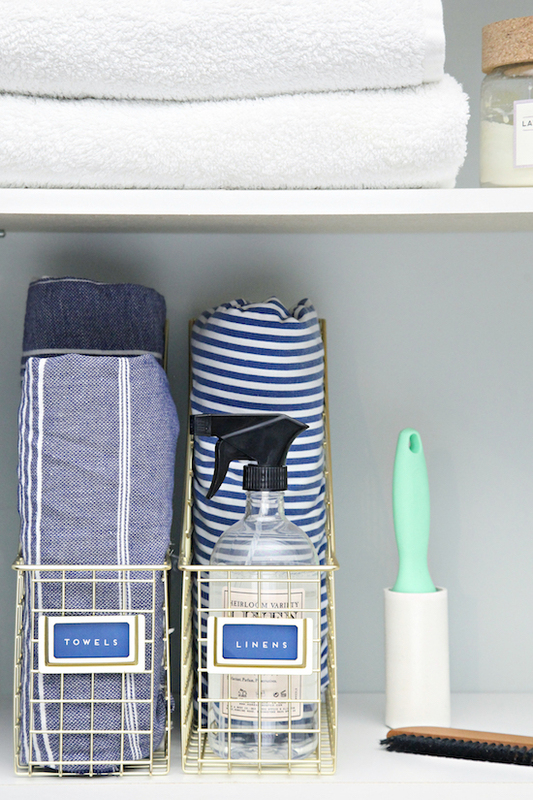 T W E L V E // Hair products and toiletries; magazine files keep them organized under the bathroom sink. T H I R T E E N // Cleaning products and rags, but again, be sure to select holders made out of an easy-to-clean material. F O U R T E E N // Organize and corral paperwork to file and bills to pay. Most file folders are designs to fit nicely, especially these vertical types. 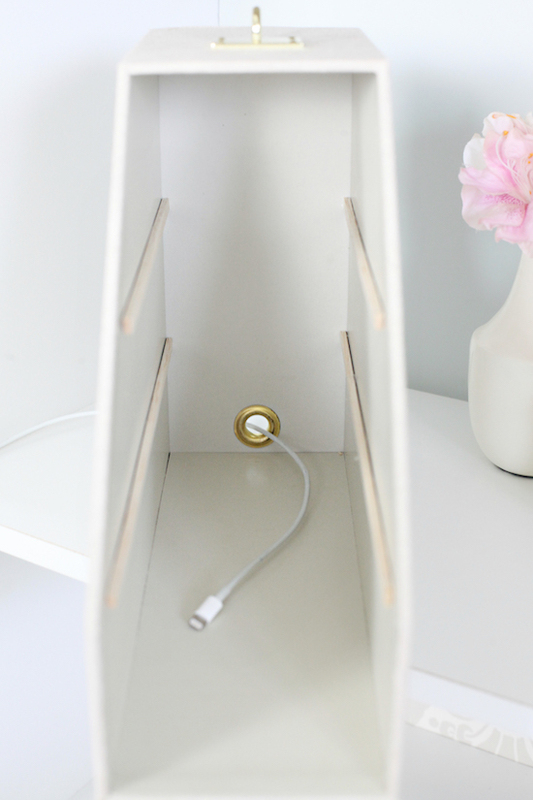 F I F T E E N // Turn one into a valet/charging station to hold daily items such as keys, change, wallet and phone. First, for cord management, I drilled a hole into the back of the box with a wide drill bit. You could also use a utility knife to cut through some types of material. I decided to add a decorative grommet to clean up the edges and prevent any future tearing. 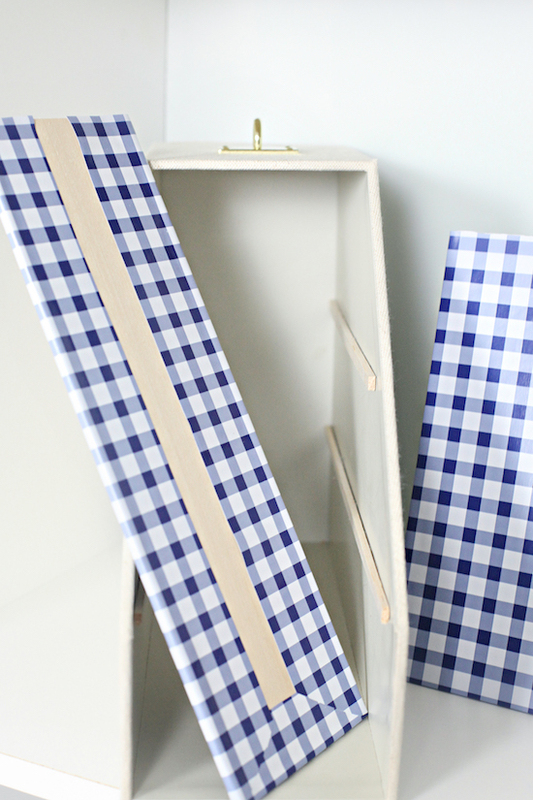 These lightweight boards are easy to cut to length with no need for power tools. For the rails, I simply used a ruler to draw a level pencil line inside the walls of the magazine file and affixed them with hot glue. I debated about staining the project boards, but took the easy route and just wrapped them in adhesive shelf liner (this one for reference, which has unfortunately more than doubled in price since I purchased it earlier this year). I love how this little hack really changes the overall functionality of the magazine file and becomes the perfect place for dropping daily necessities. So tell me, do you already use magazine files for any of these functions, or do you have any additional ways to put them to work? Let's keep growing the list in the comments below! U P D A T E ! I can't believe I left this one out, as it was the one that ignited the idea for the entire post. How about putting a few magazine files inside of a bigger basket to act as dividers? 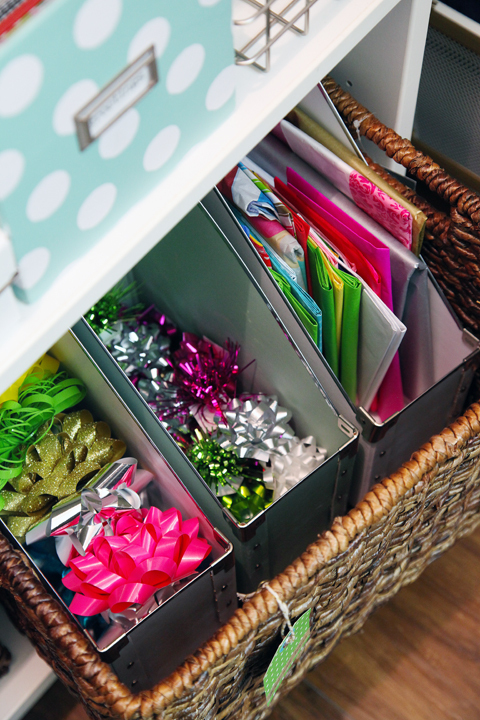 It worked so well for our gift wrap items such as boxes, tissue, gift bags, ribbon, tags and bows! Perfect for this giving season! This is amazing!!! I just came across your blog on Bloglovin'and what can I say.. I'm loving it! I use one in the kitchen to hold boxes of spaghetti. They are such an odd, awkward size and the mag holder keeps them from falling over or taking up too much space. Glad to see you back! Hope your are refreshed! #hugs! Great ideas! I love the charging station/valet - so clever! I miss you posting. Is your blog over? I’ve missed you blogging and check back daily to see if you’ve posted something new. I hope you’re okay. Happy New Year! I second the above comment!!! :) Miss your blog post! Hope all is well with you and your family. Happy New Year! I miss your posts also. Hope to see you back soon. Hope all is well. You have never been so quiet...Come back soon. Oh my goodness, Jen. I love this! Especially the charging portion. Genius. Hope you and your family are doing really well. Miss you! What a fantastic idea!! Who knew there were so many uses for magazine holders. 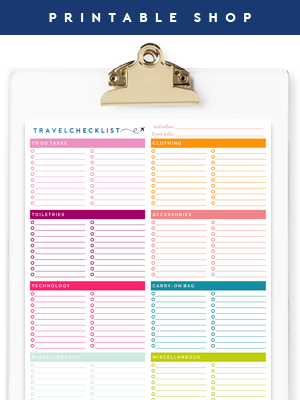 This is one idea that I will incorporate into my resolution to get organized this year. Thank you! Love this little hack! You are so clever Jen! I use them to store flats, sandals and flip flops!